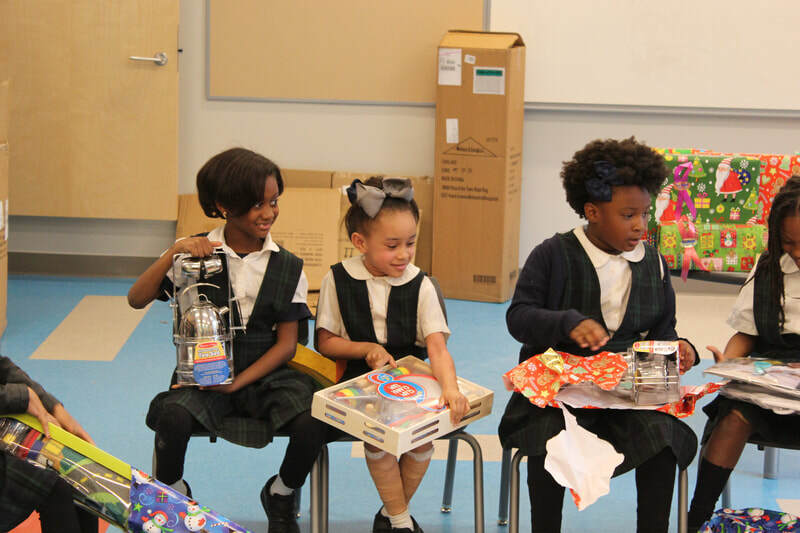 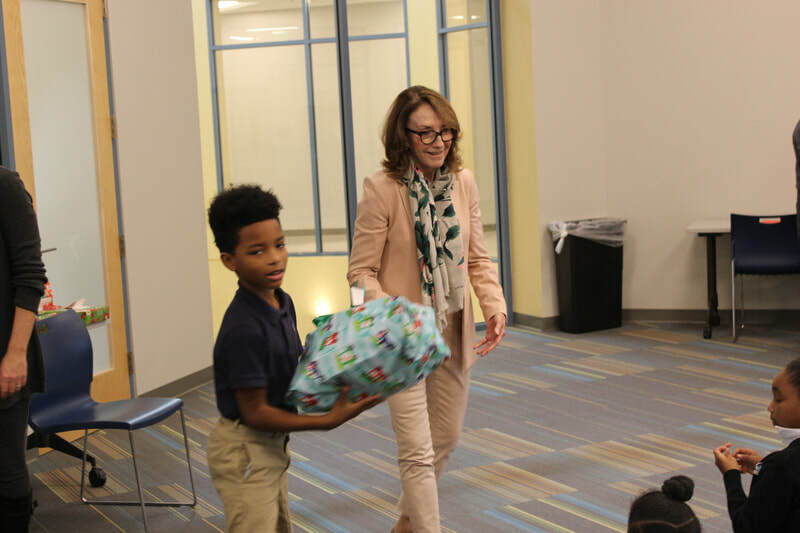 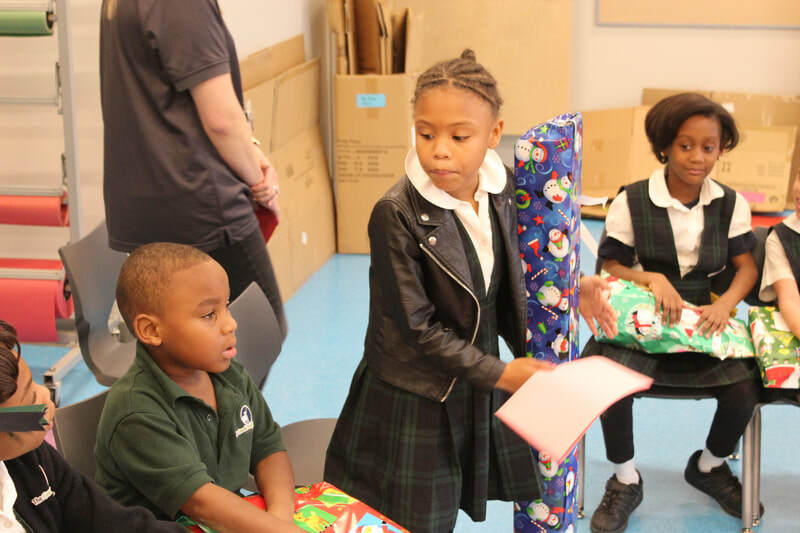 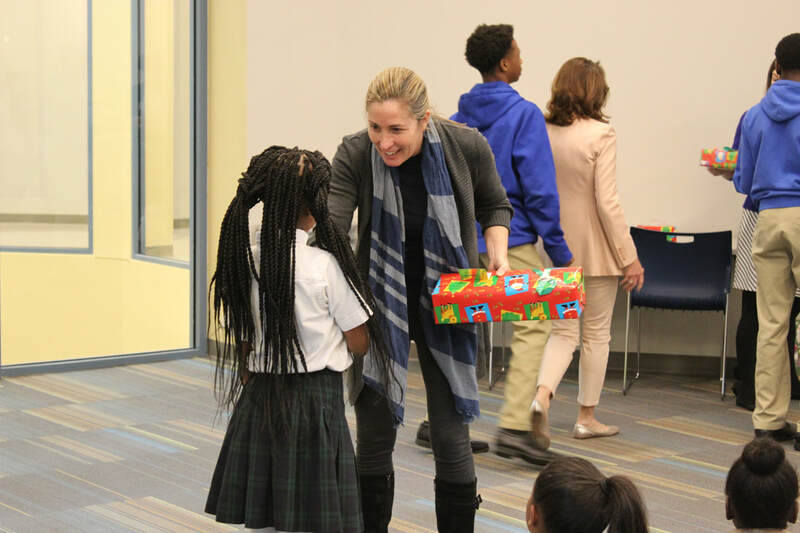 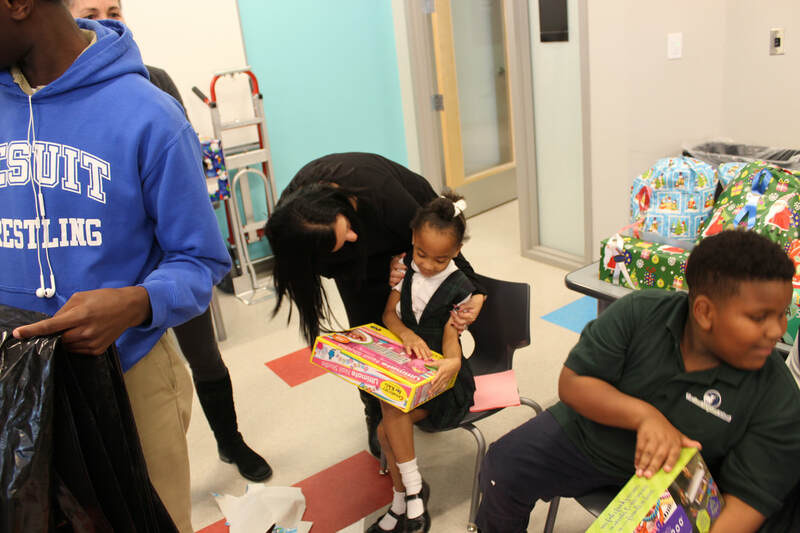 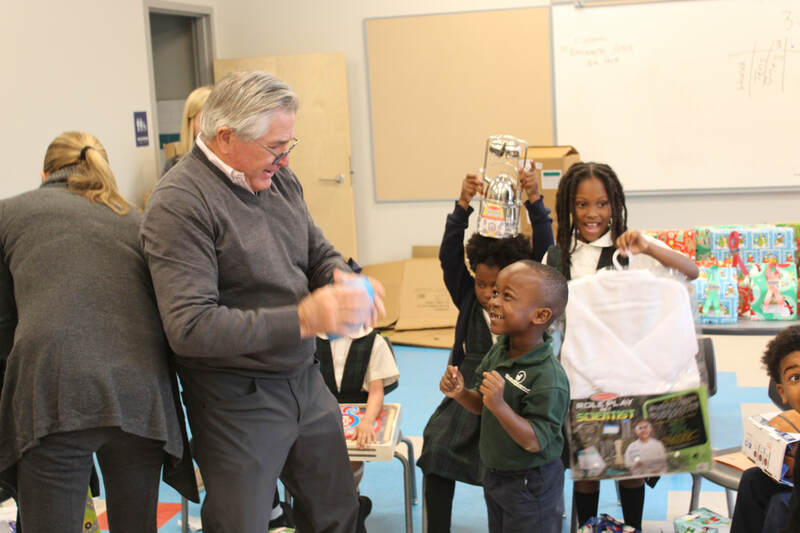 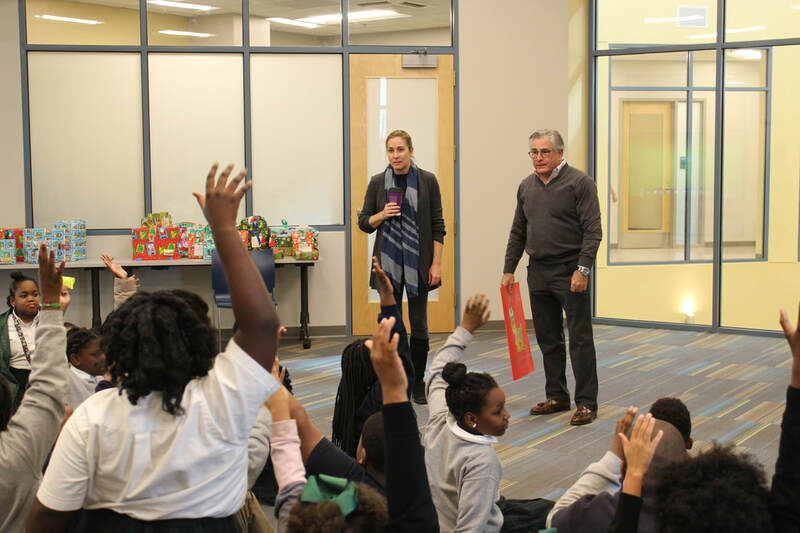 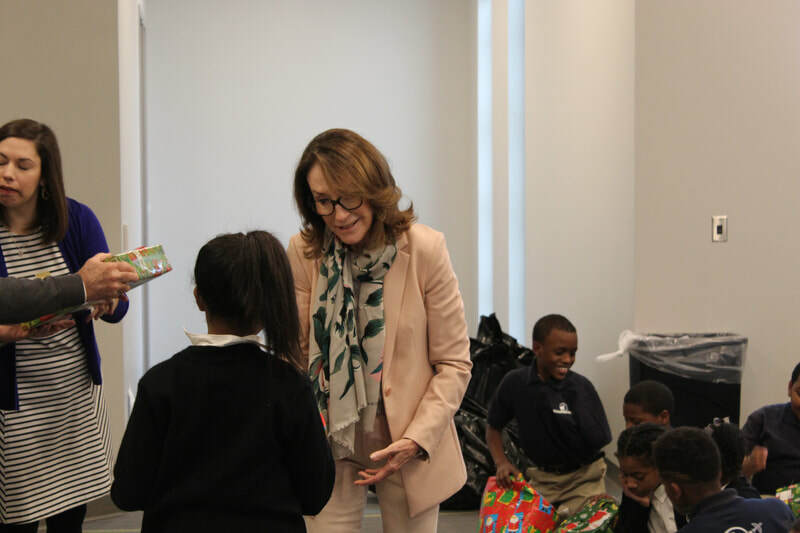 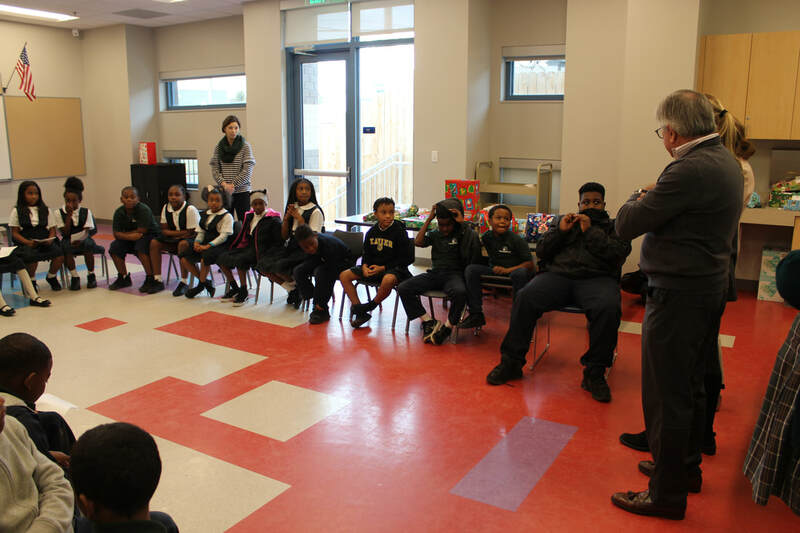 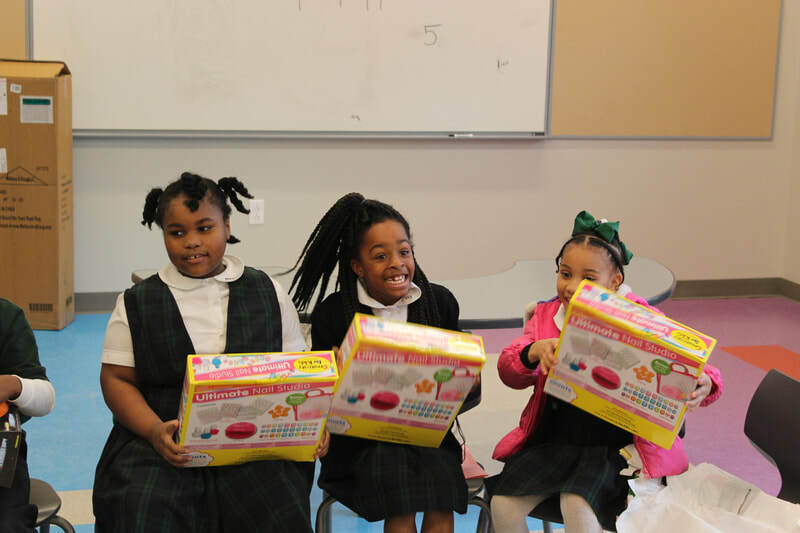 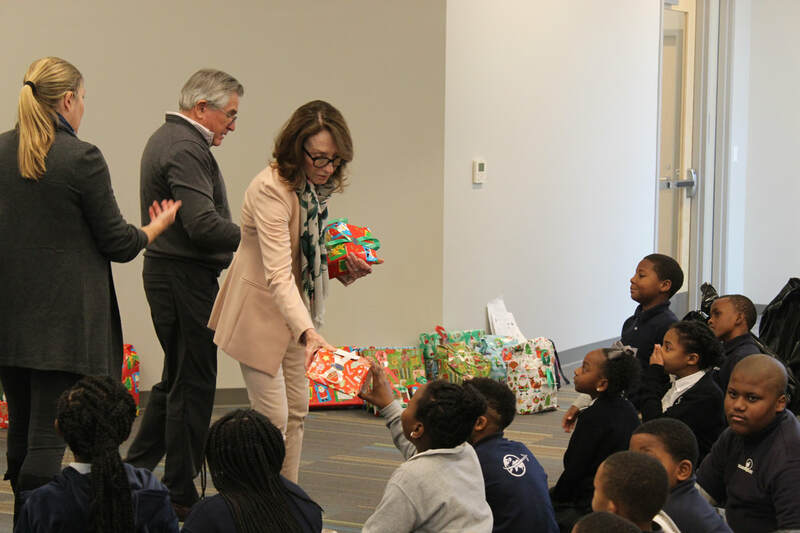 After the Mass kick-off of Christmas week, Mr. & Mrs. Wayne Ducote visited GSS to give each student a Christmas present. 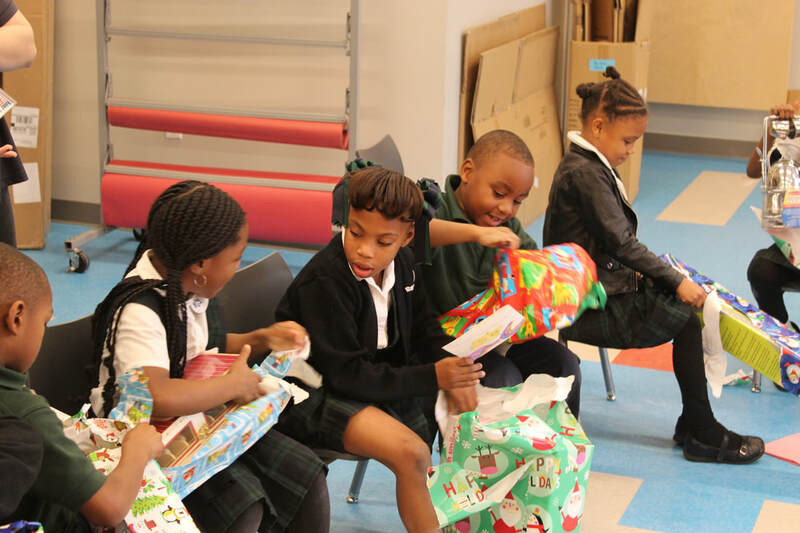 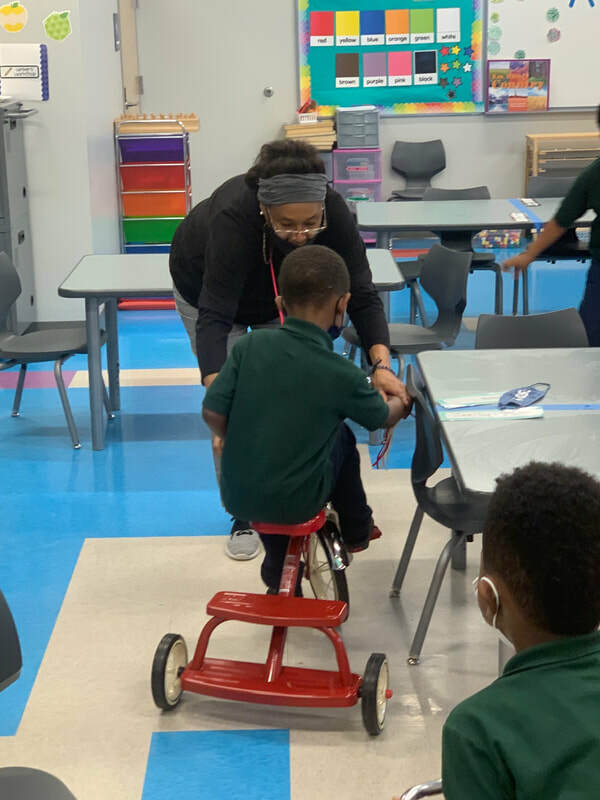 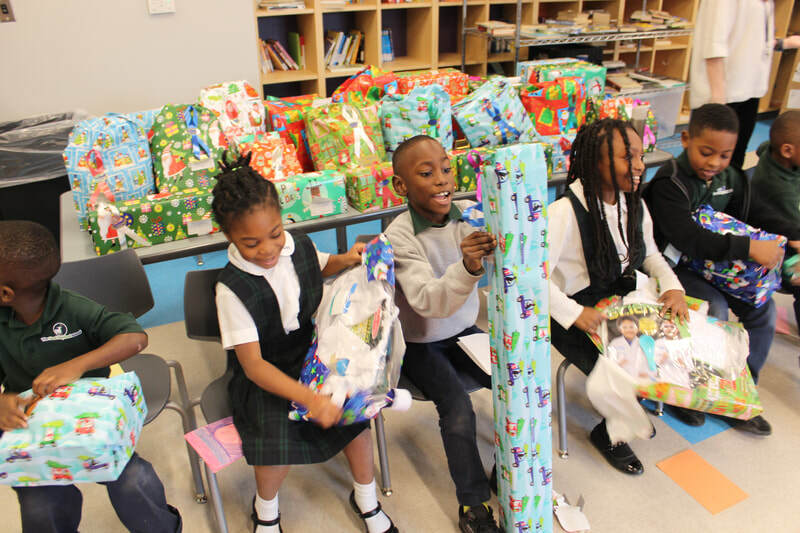 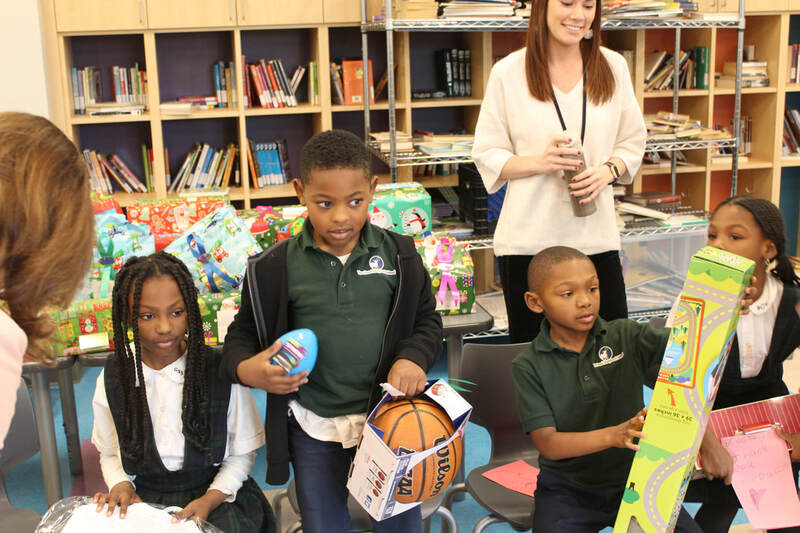 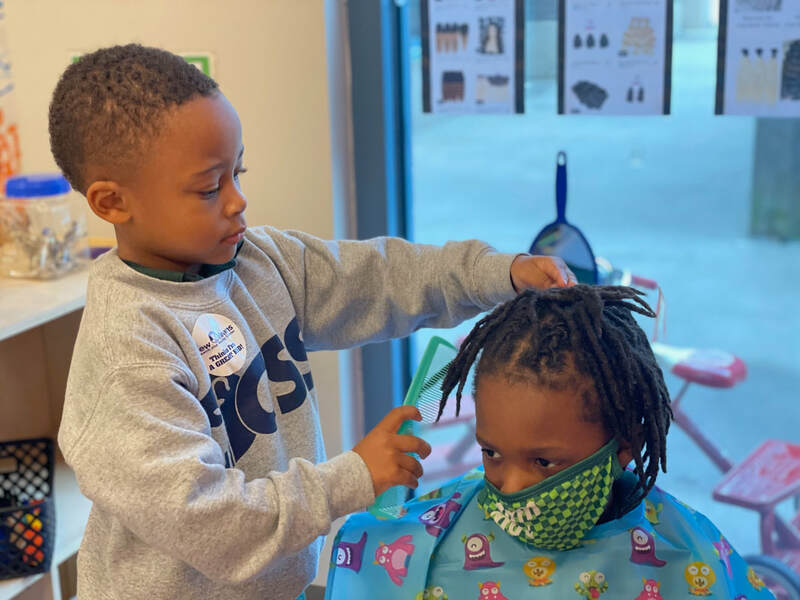 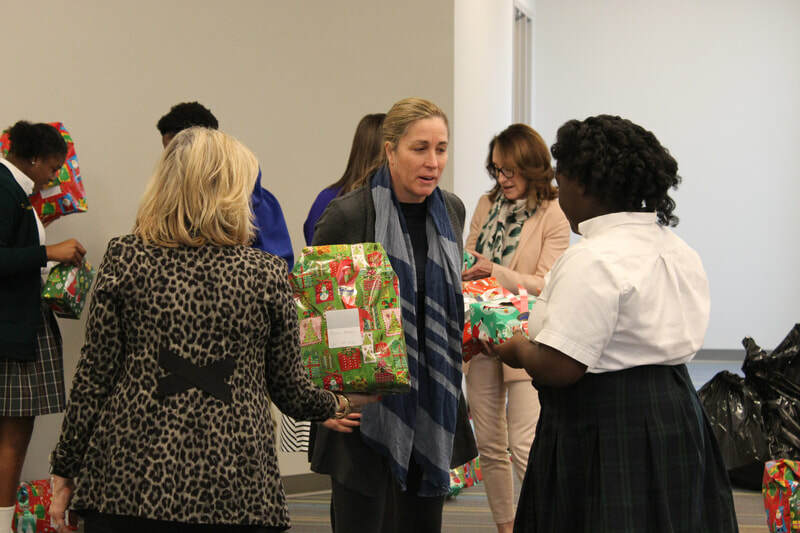 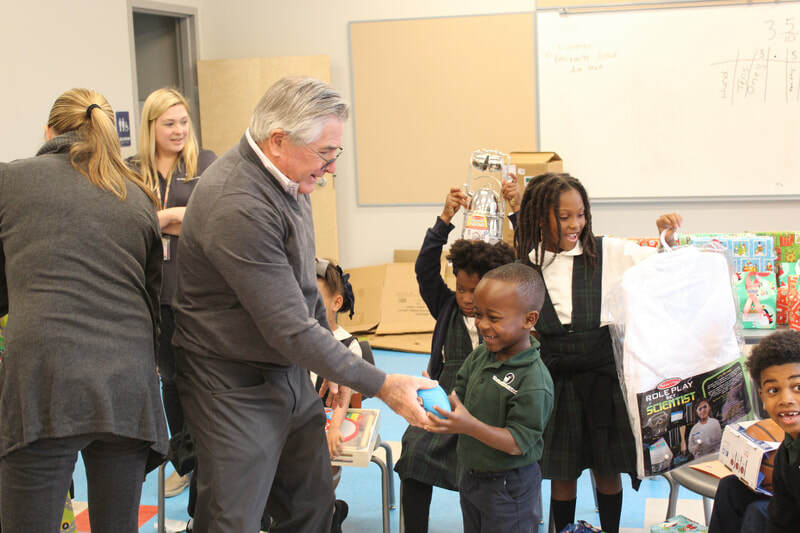 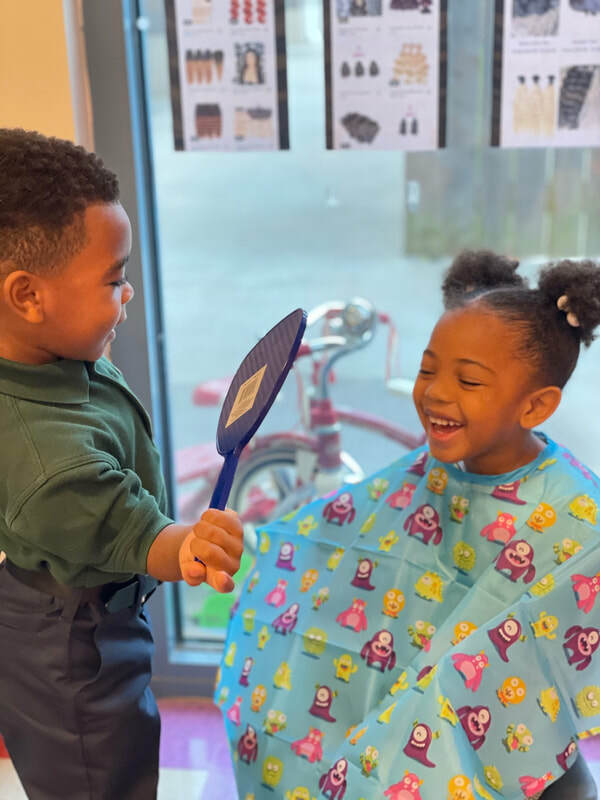 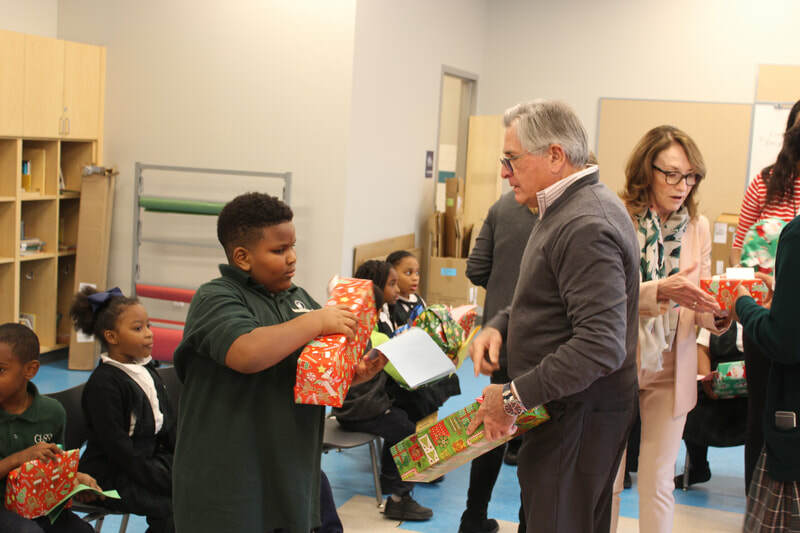 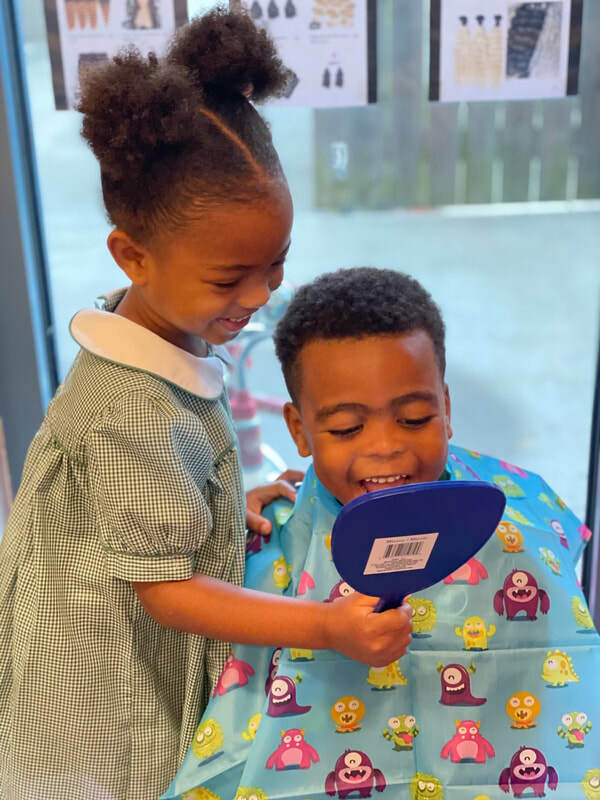 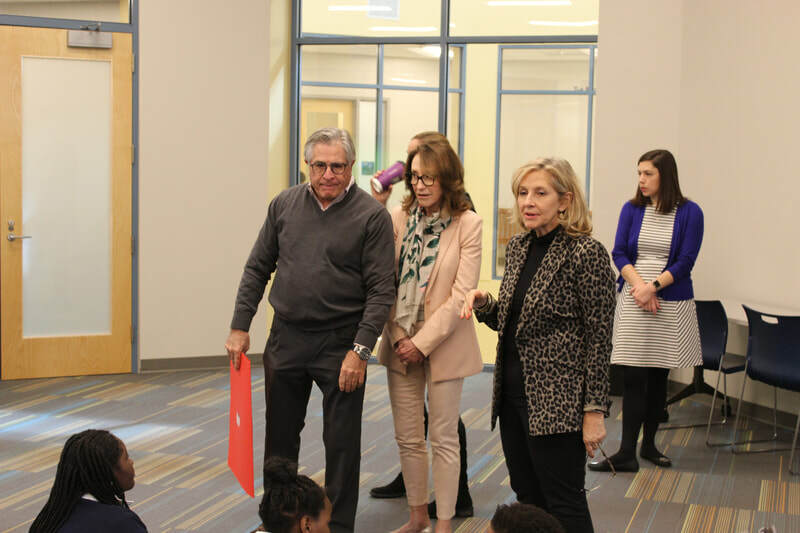 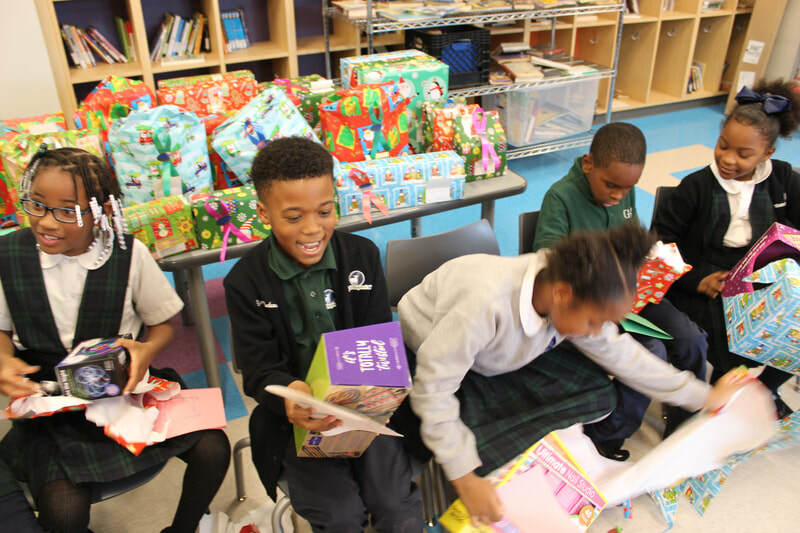 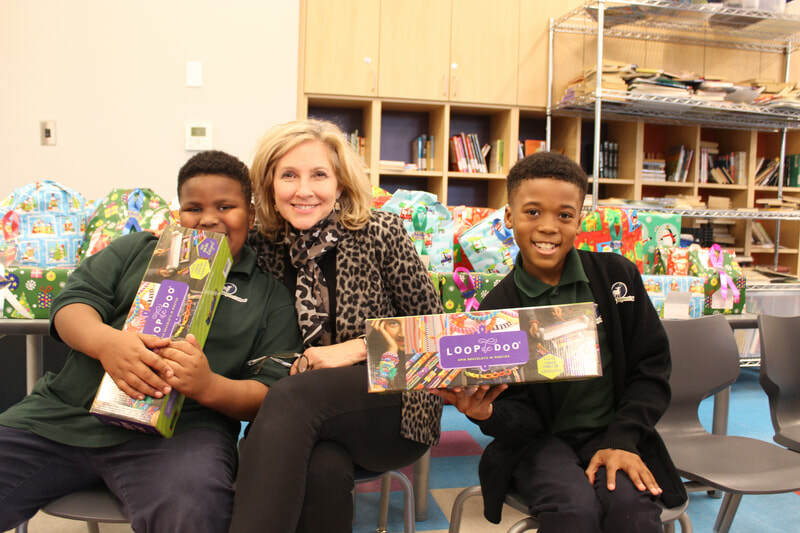 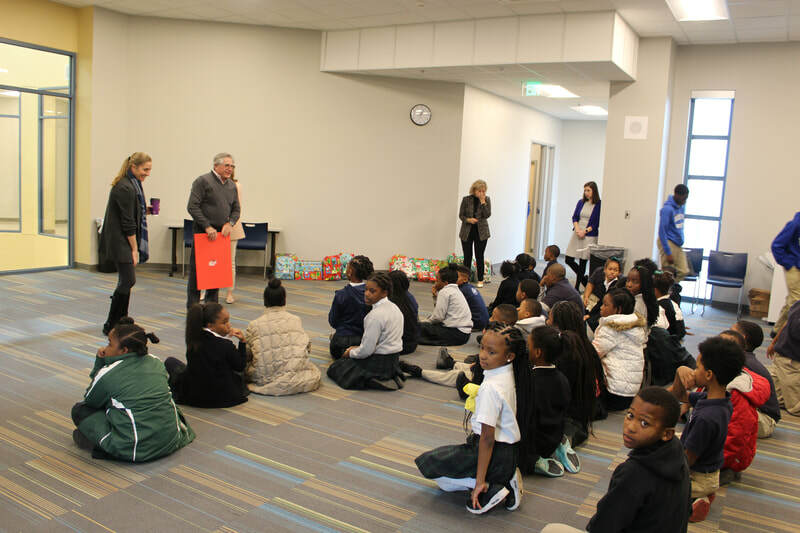 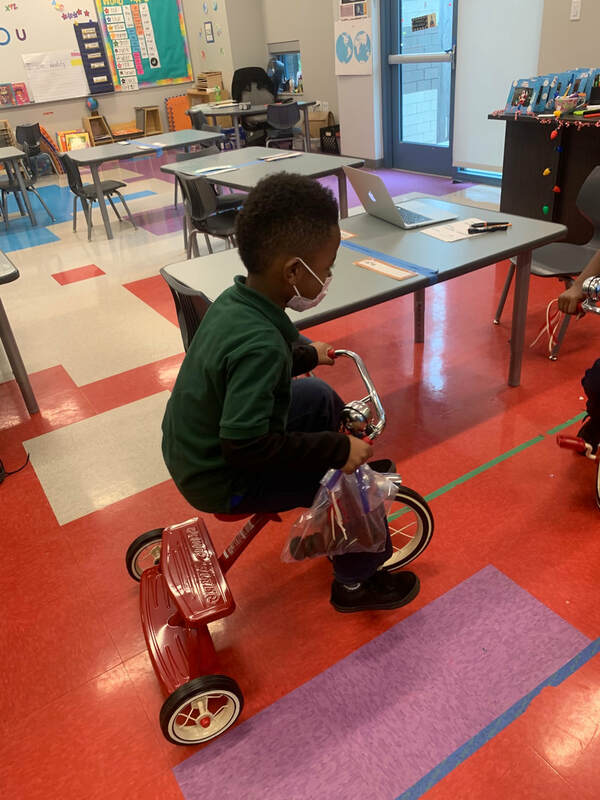 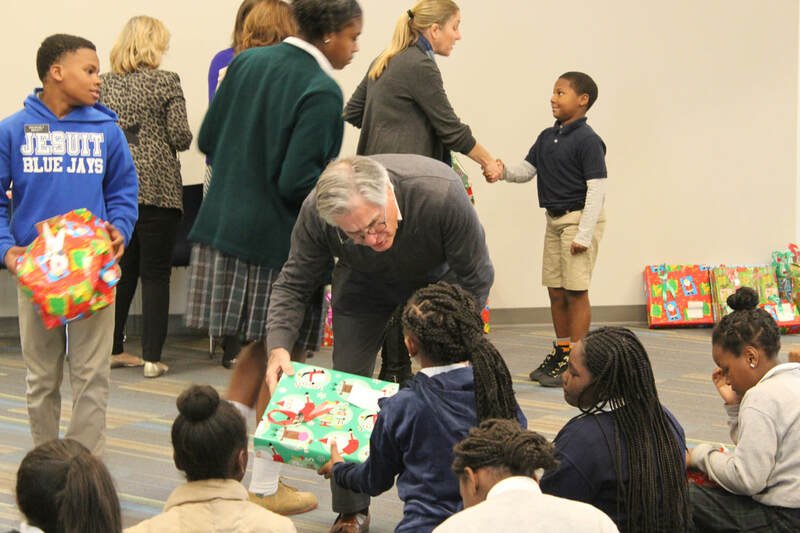 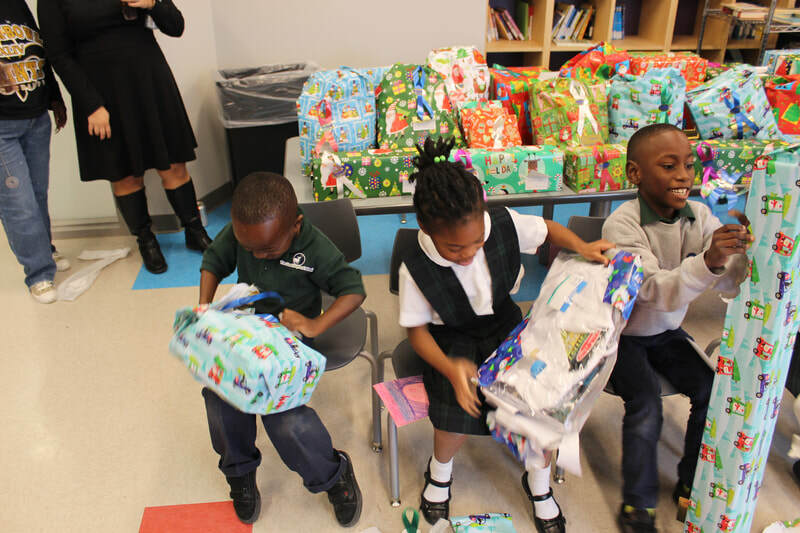 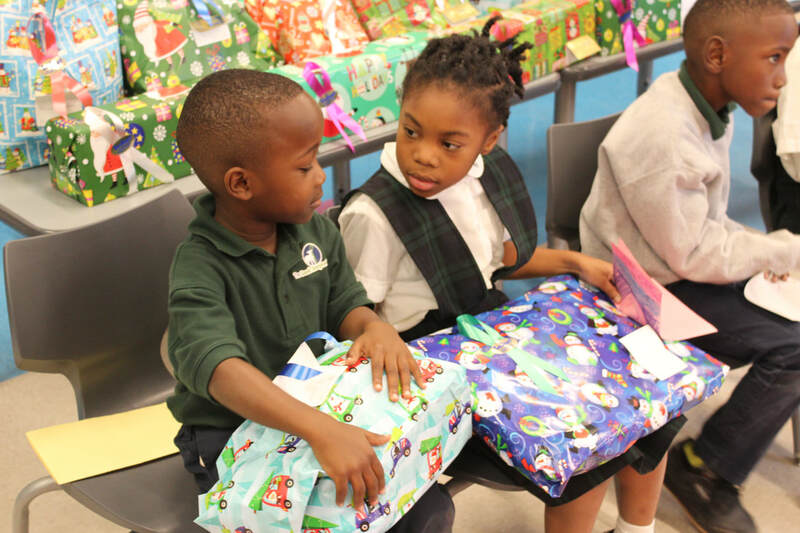 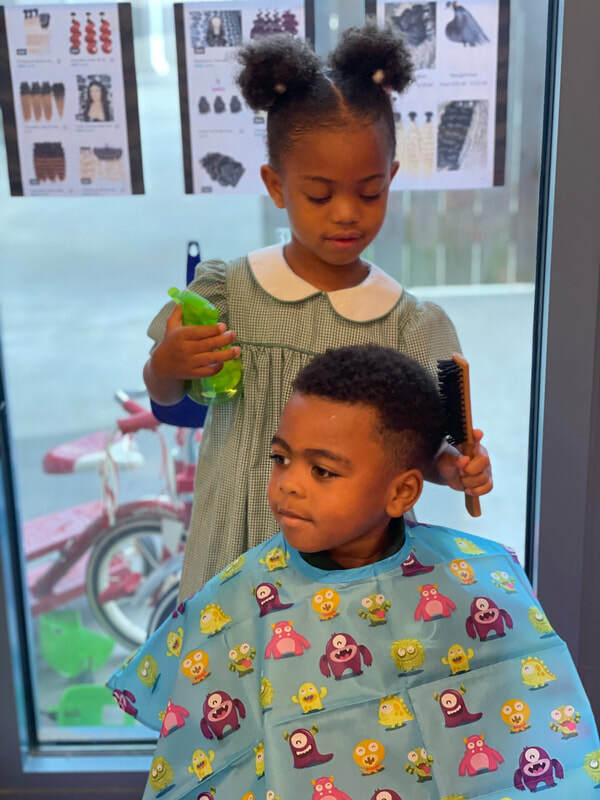 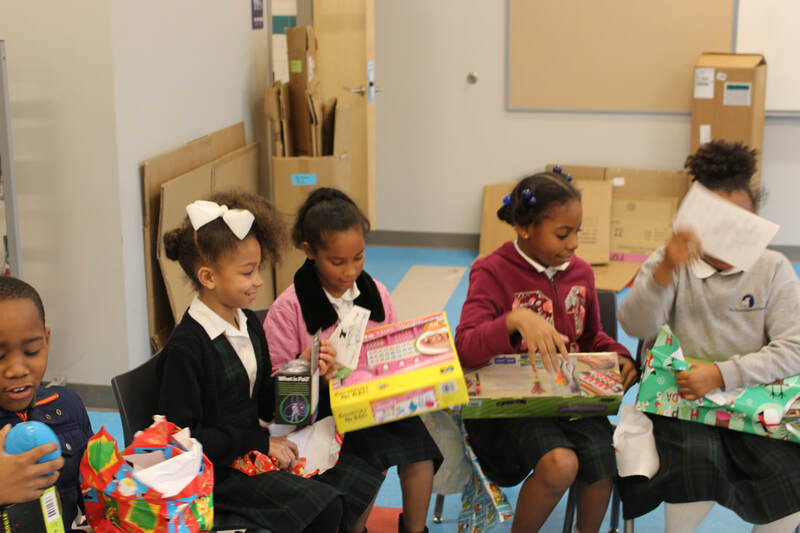 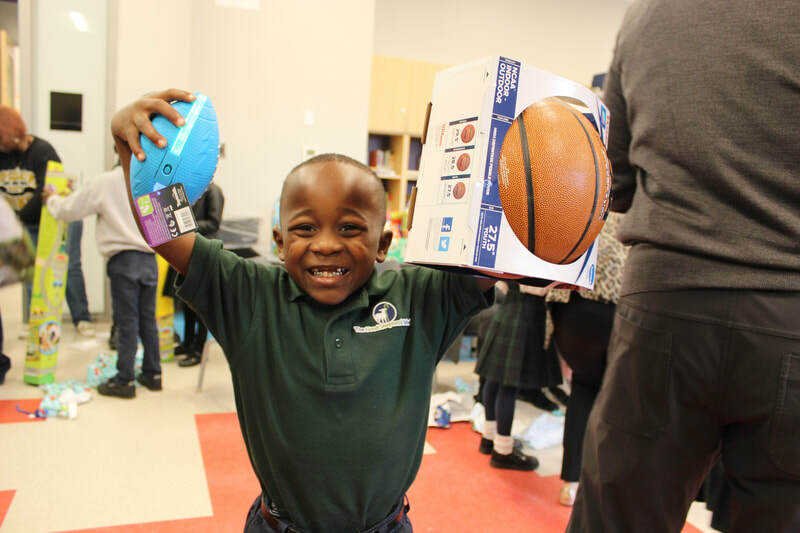 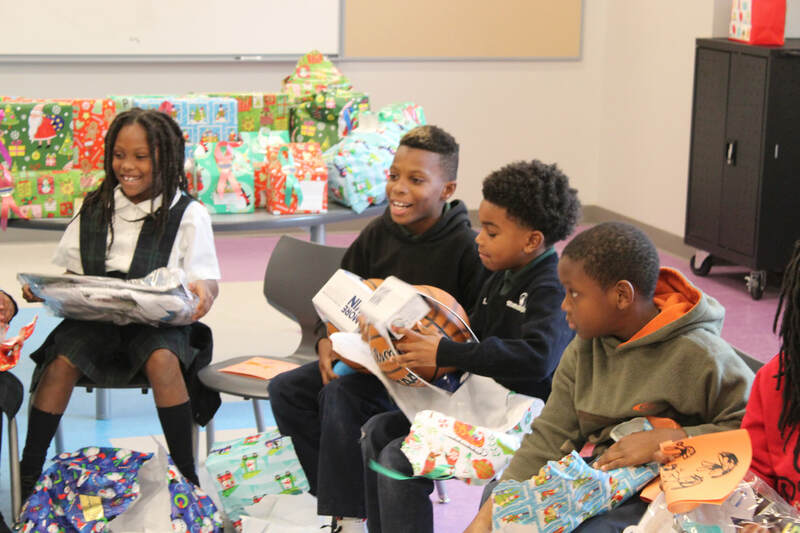 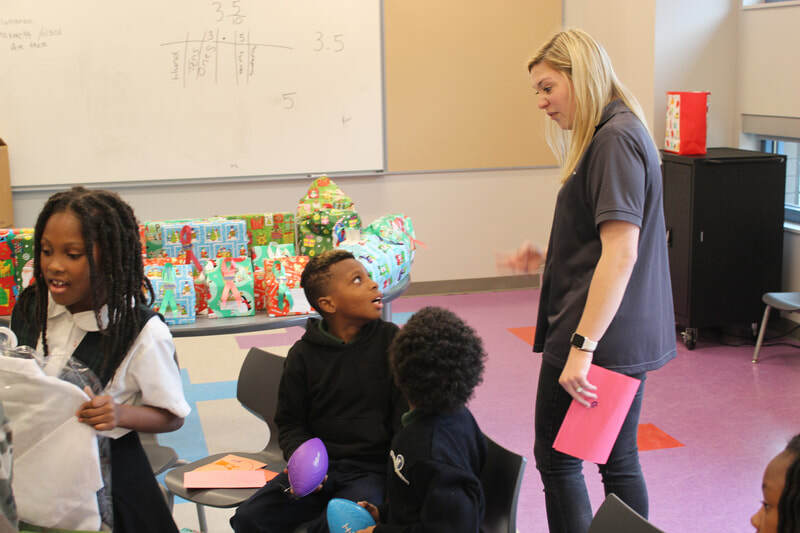 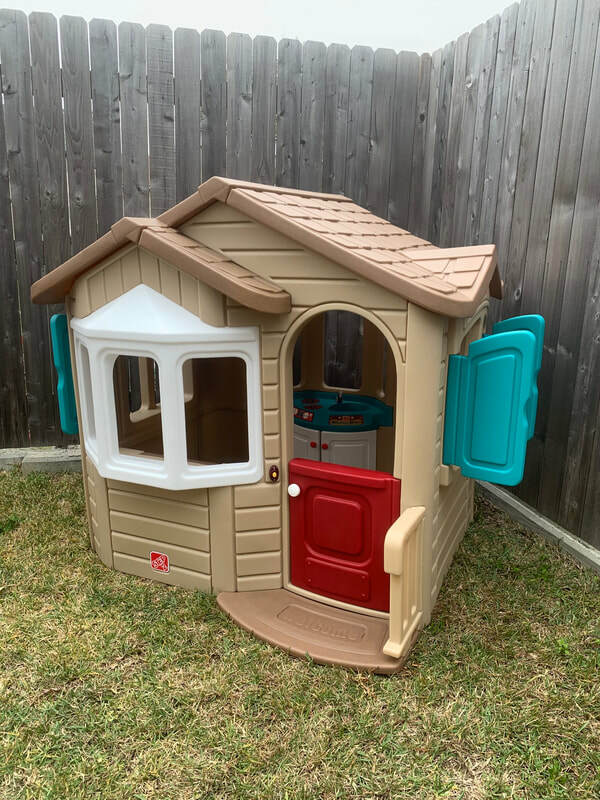 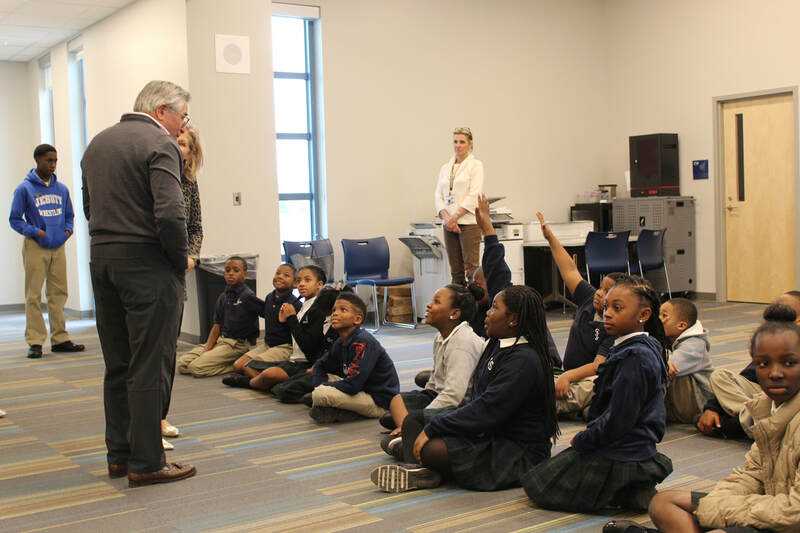 This year, the school has significantly grown, yet Mr. and Mrs. Ducote continue to provide a gift for every child on campus. 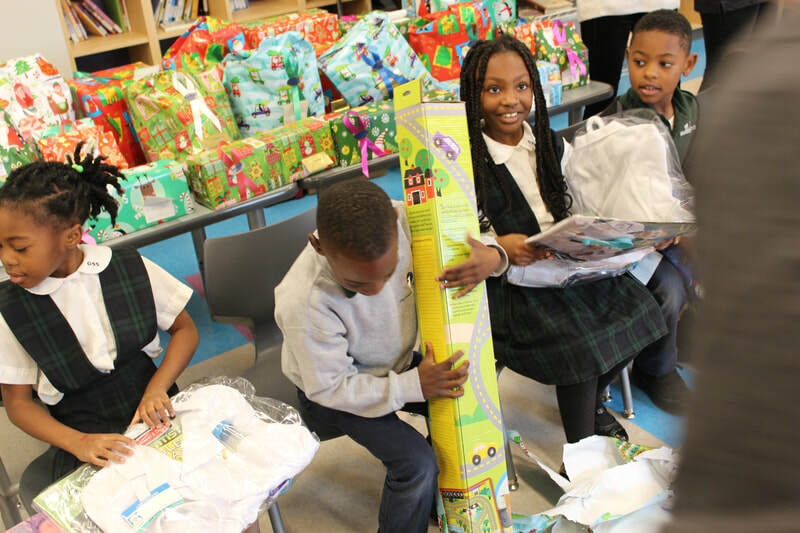 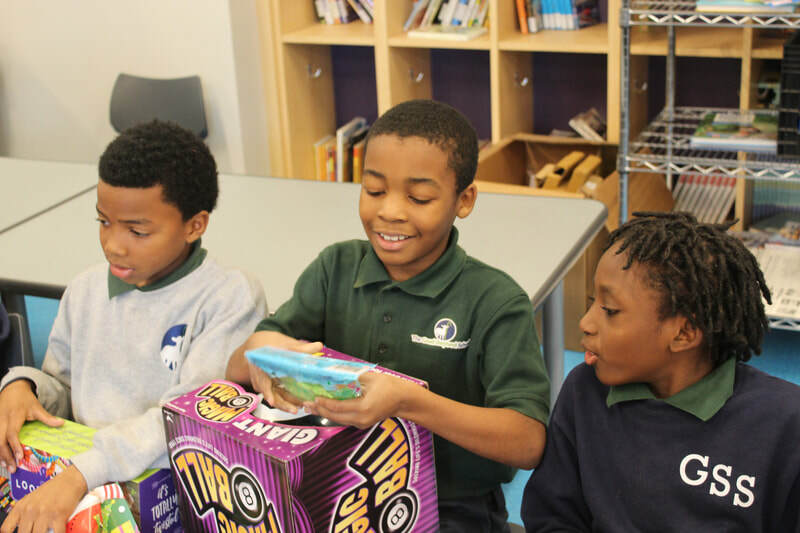 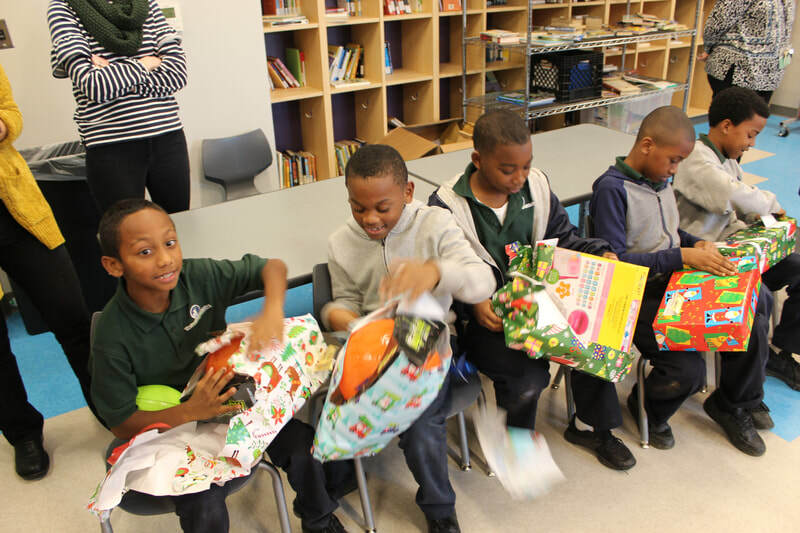 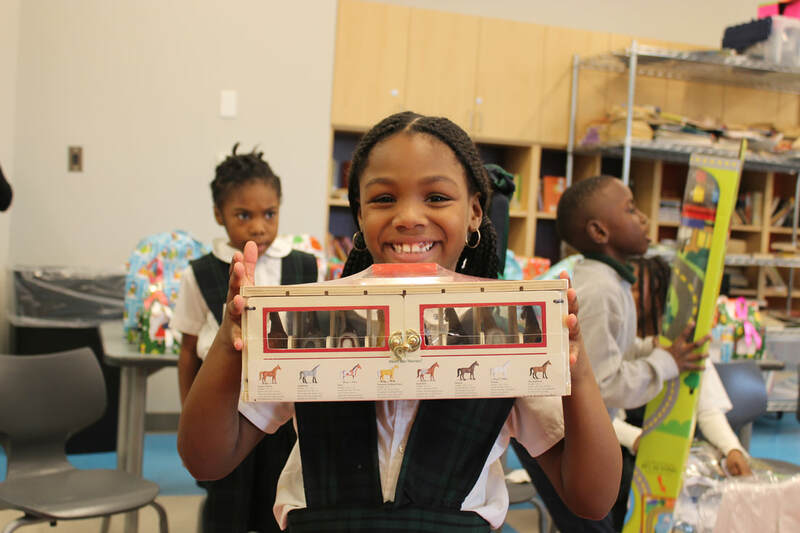 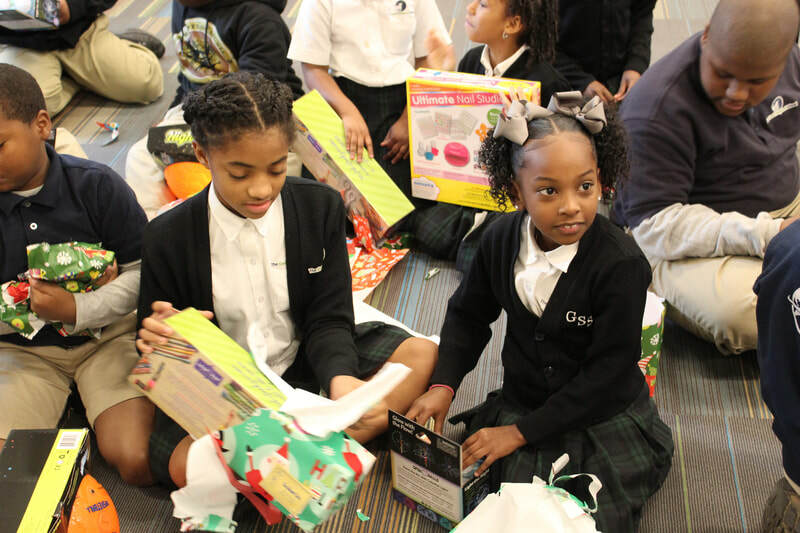 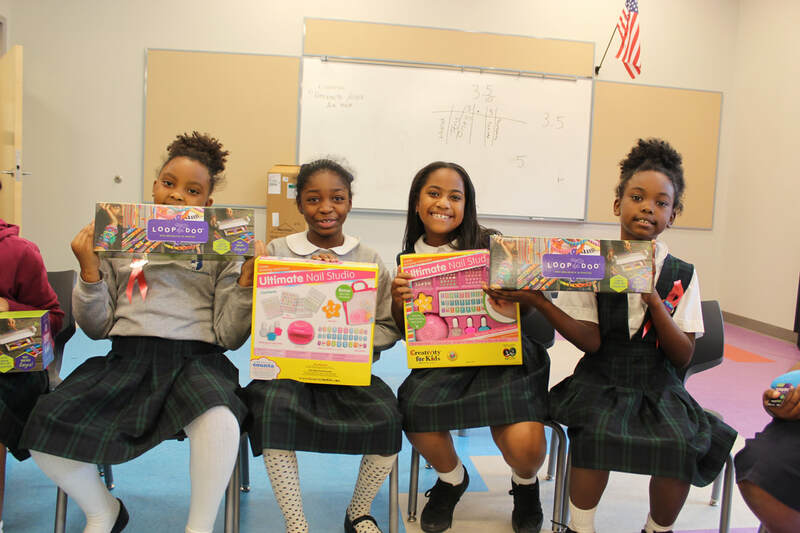 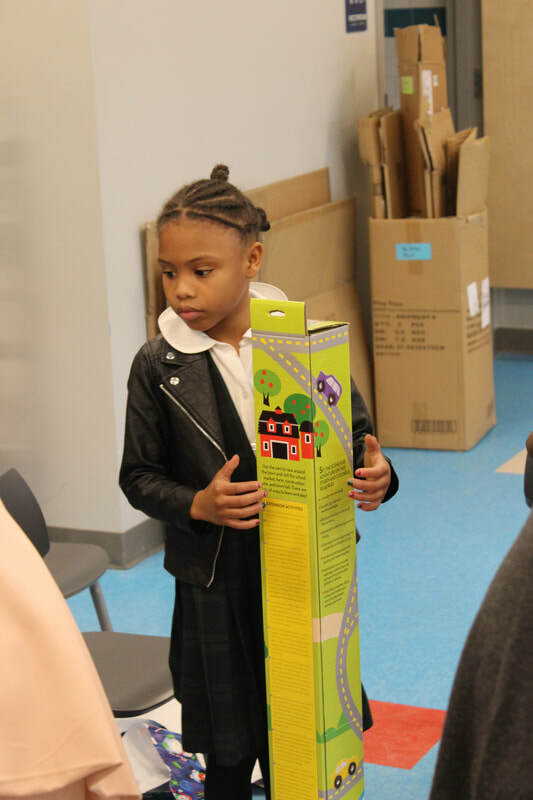 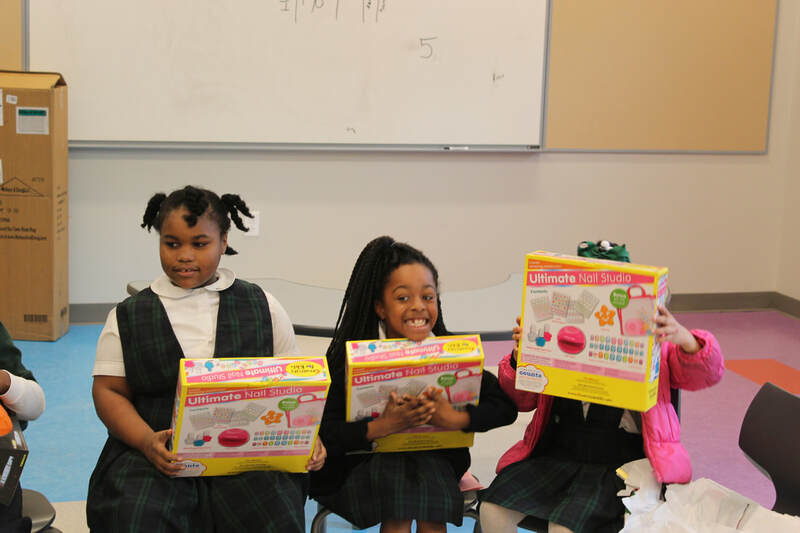 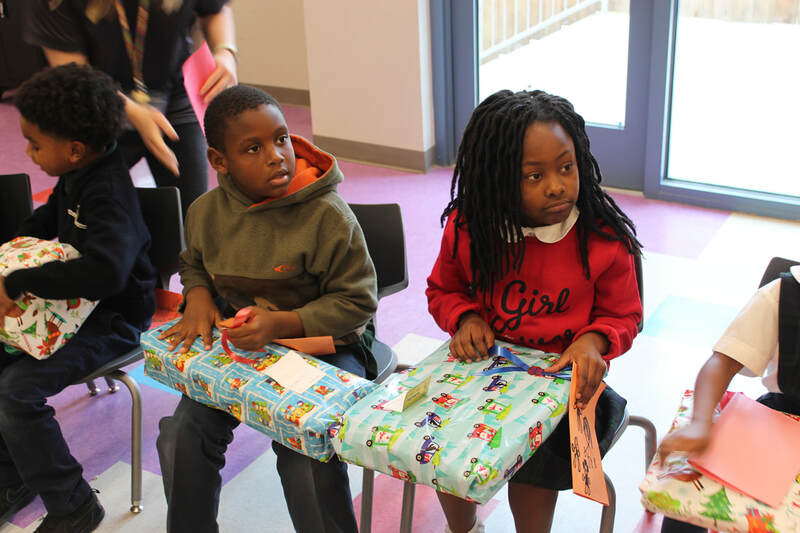 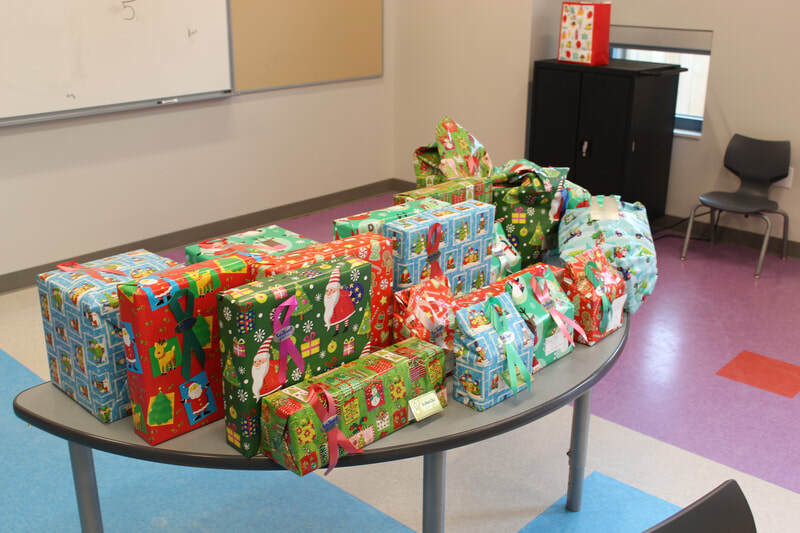 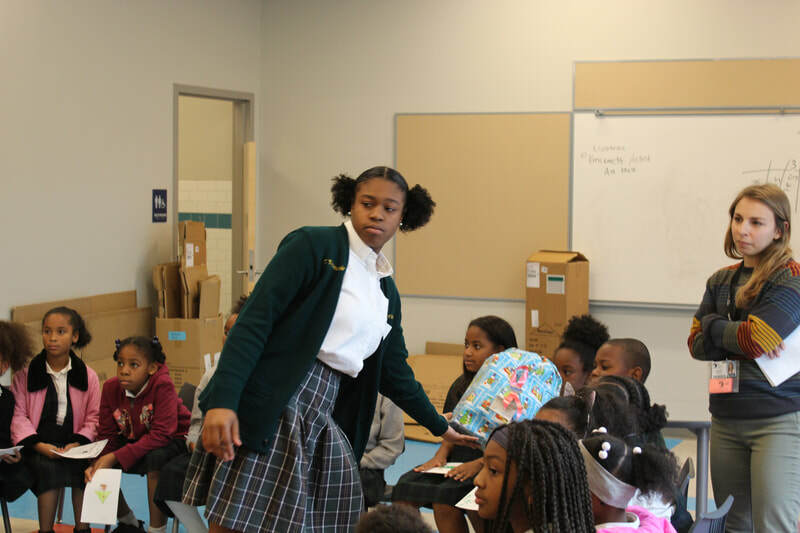 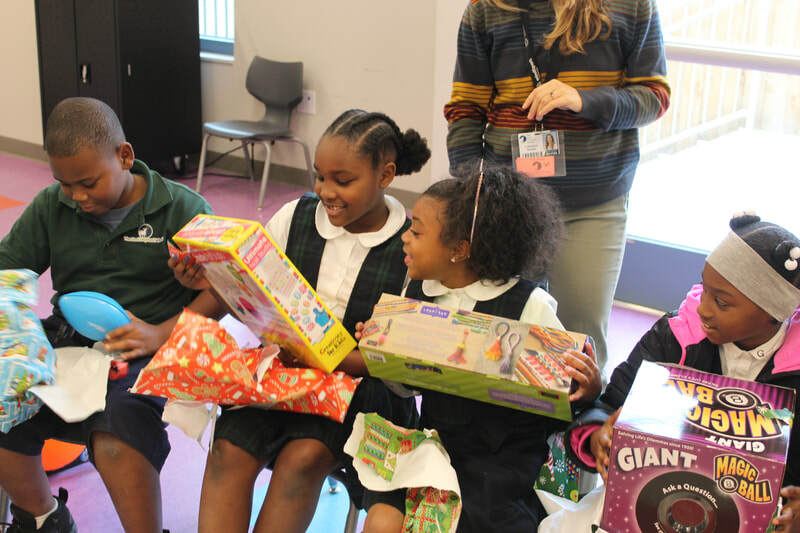 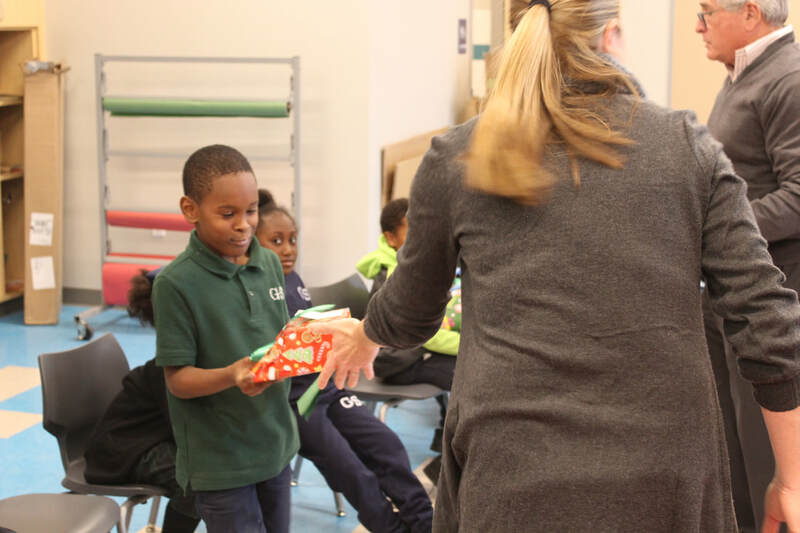 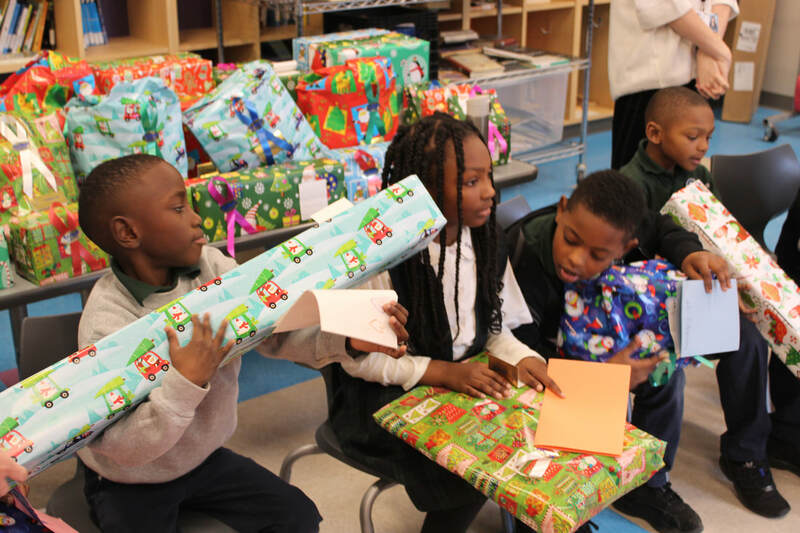 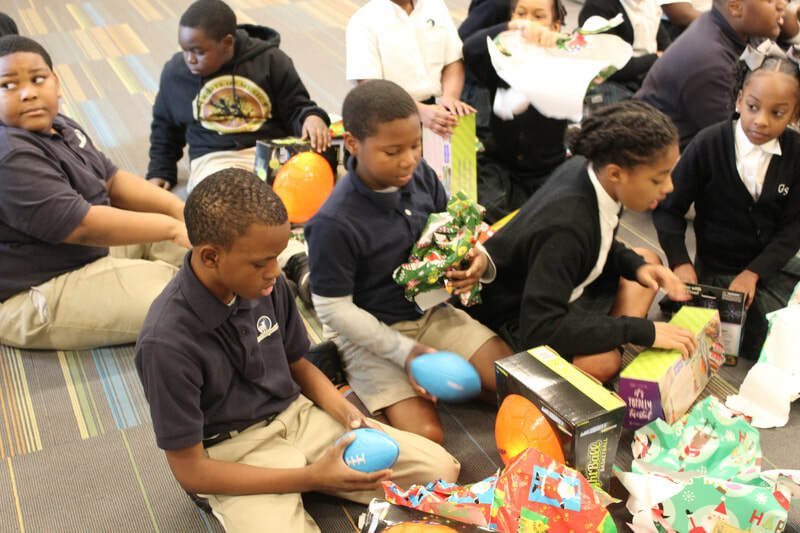 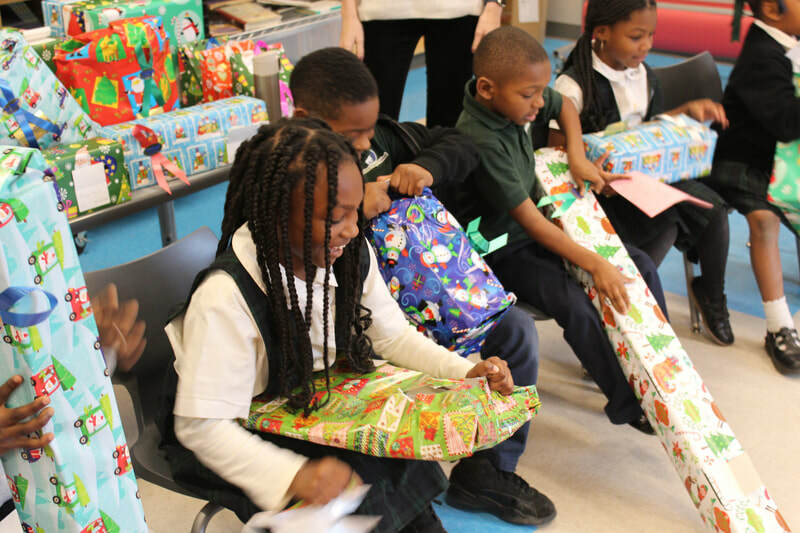 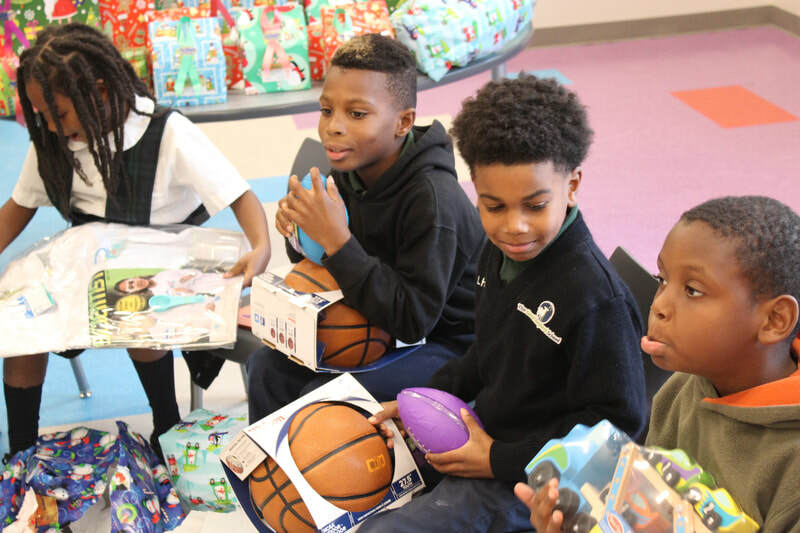 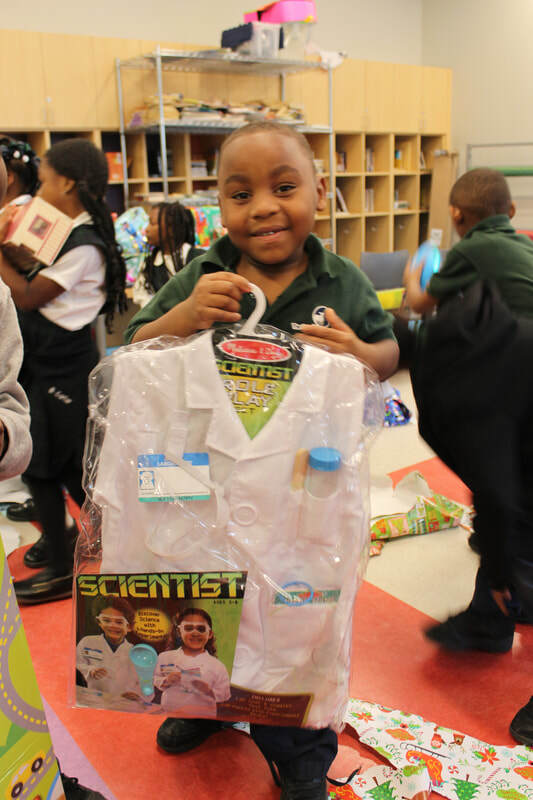 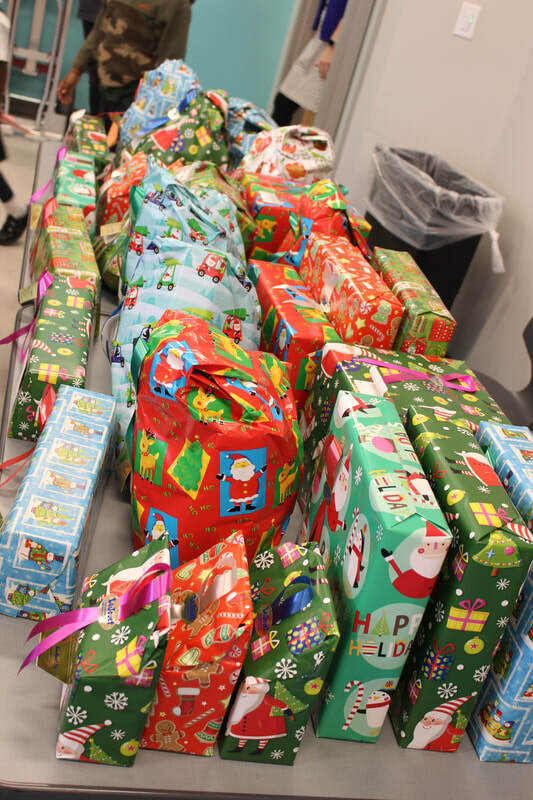 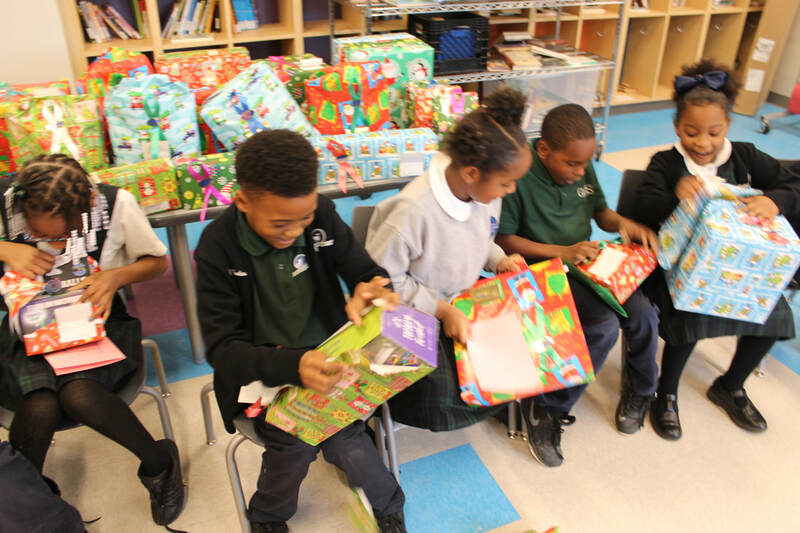 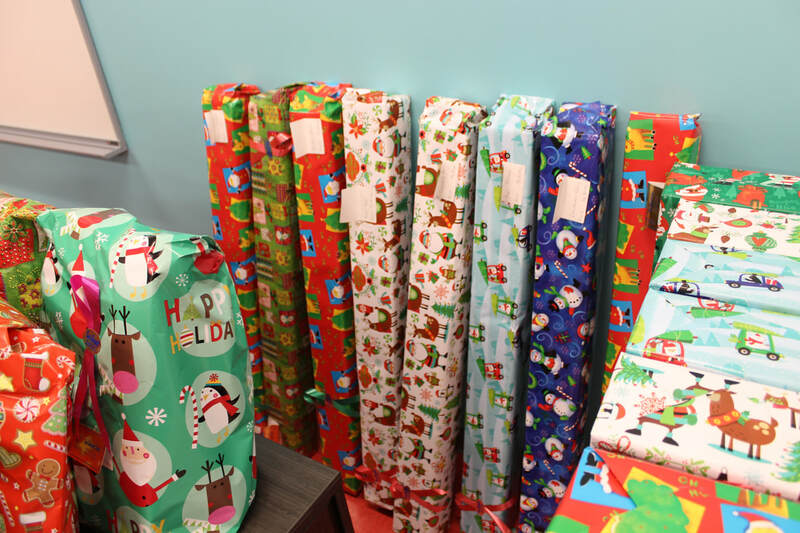 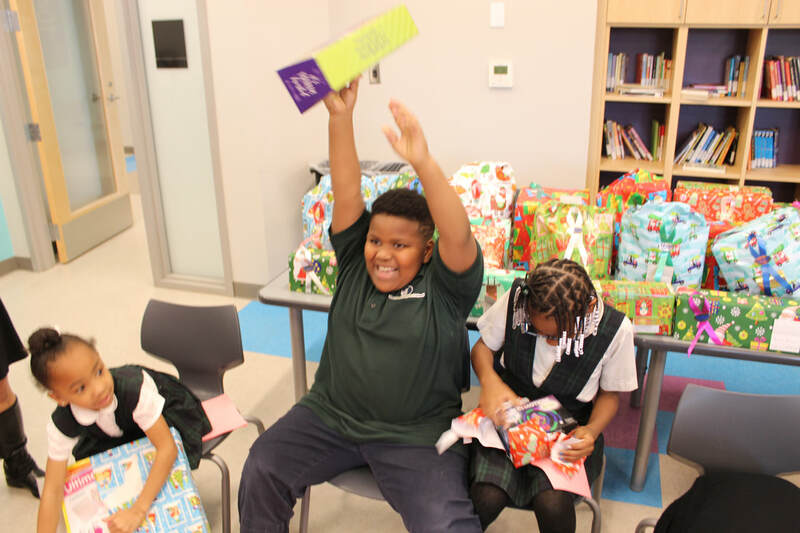 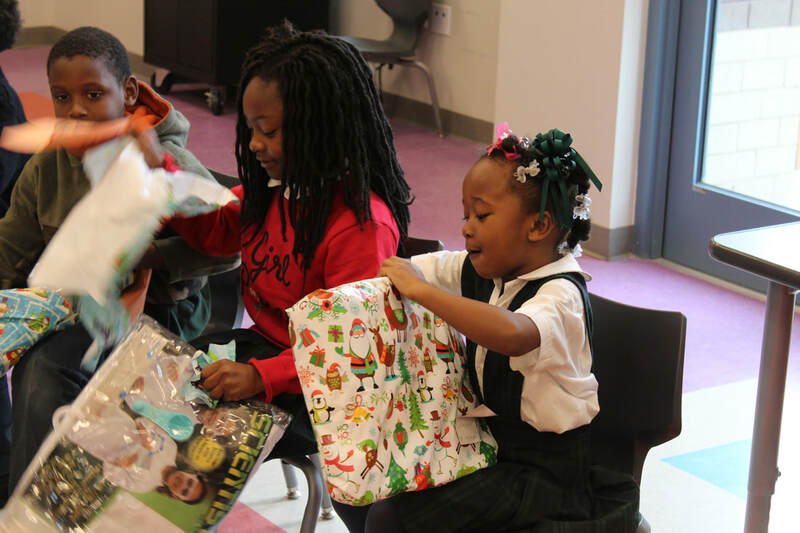 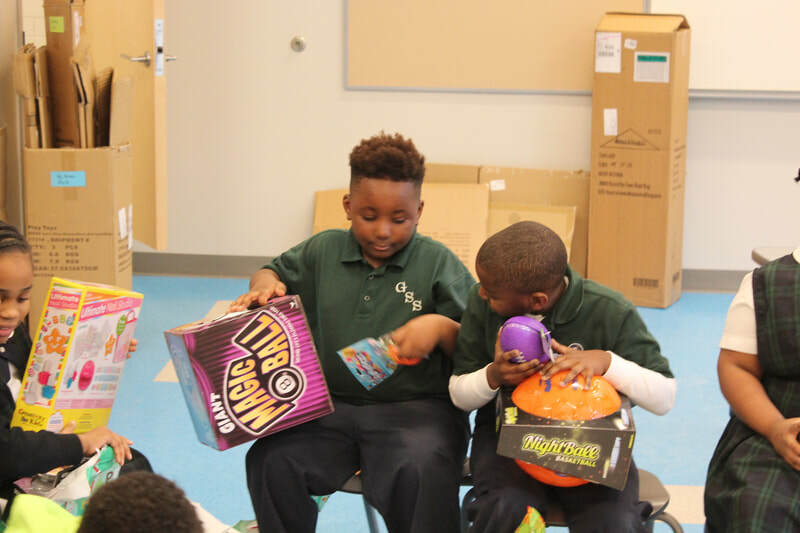 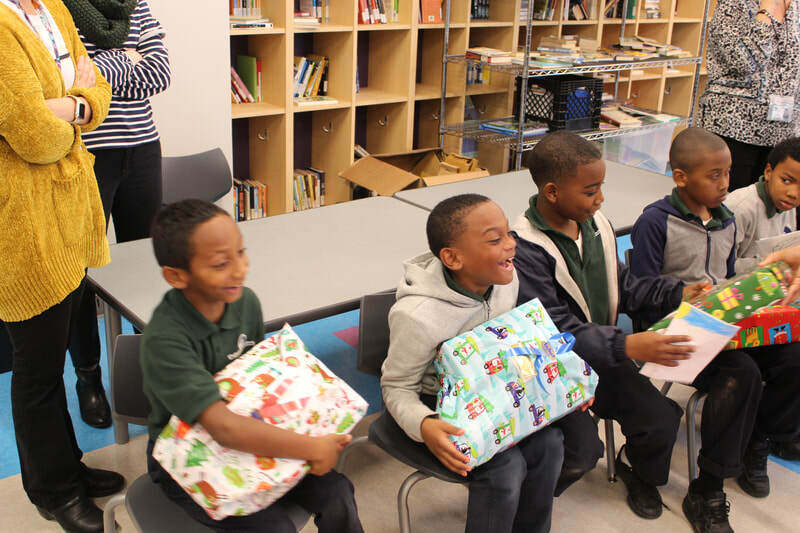 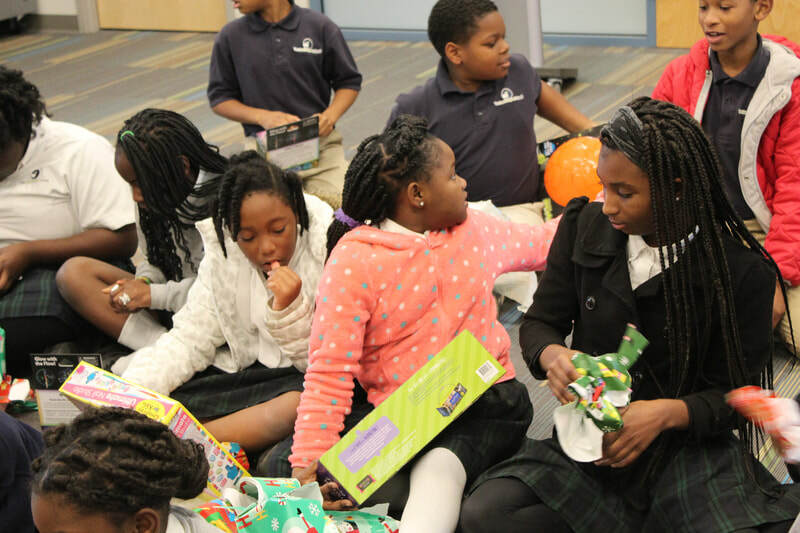 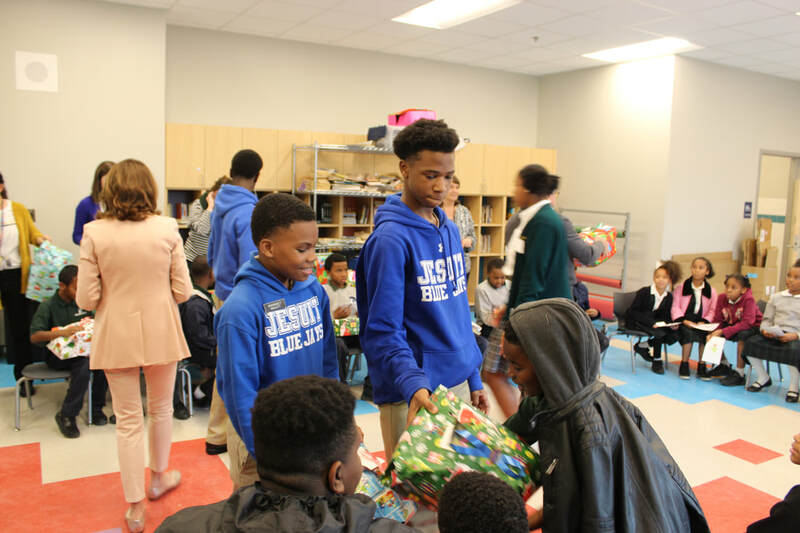 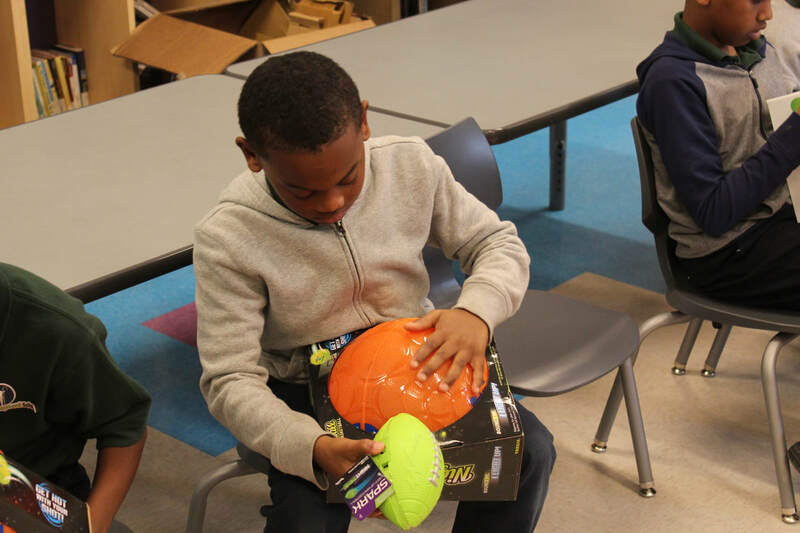 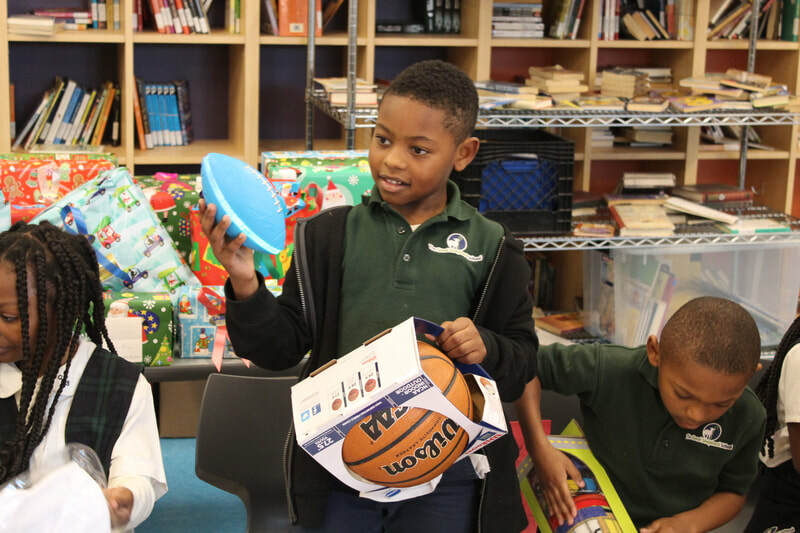 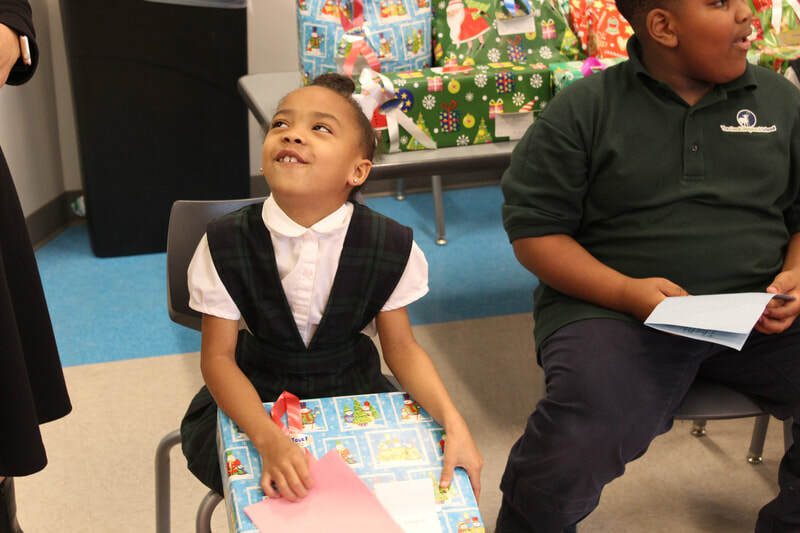 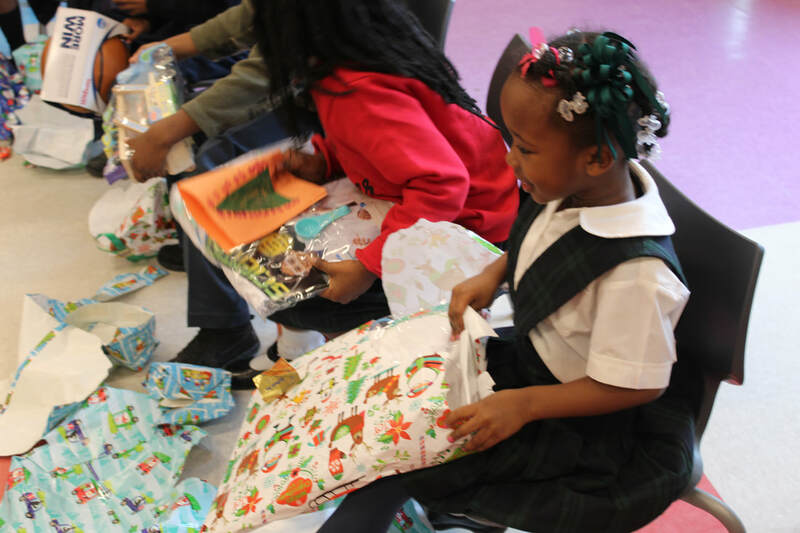 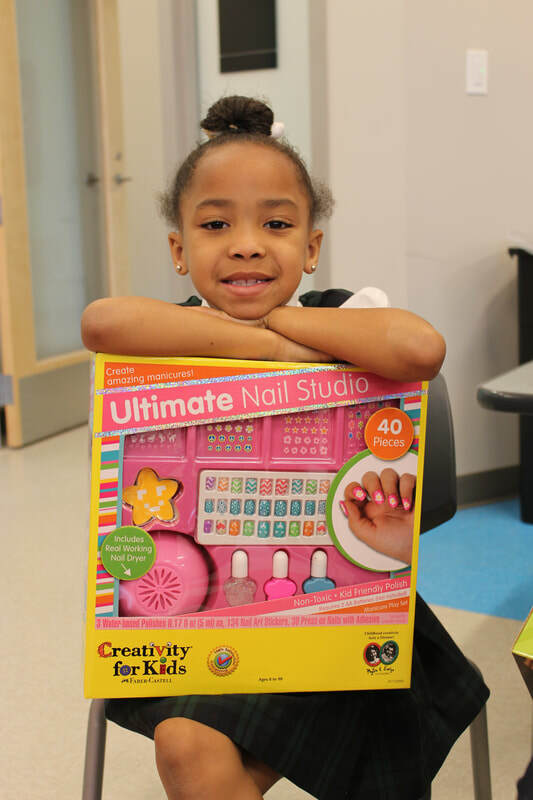 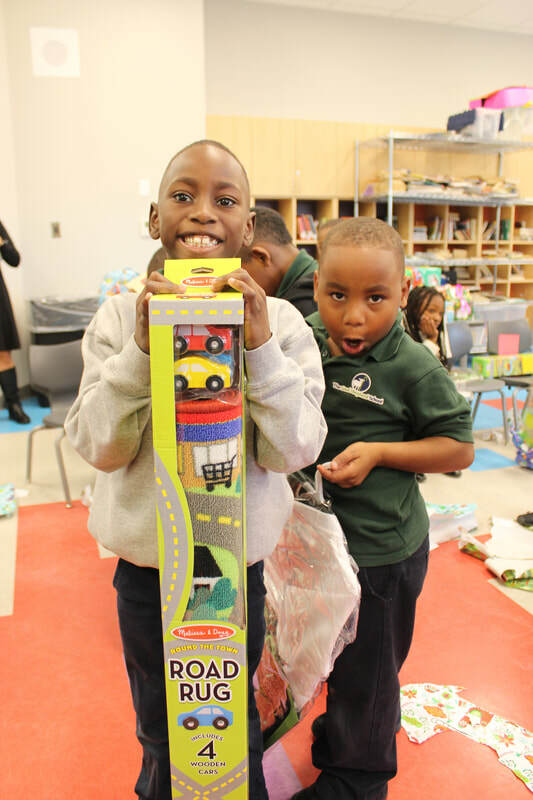 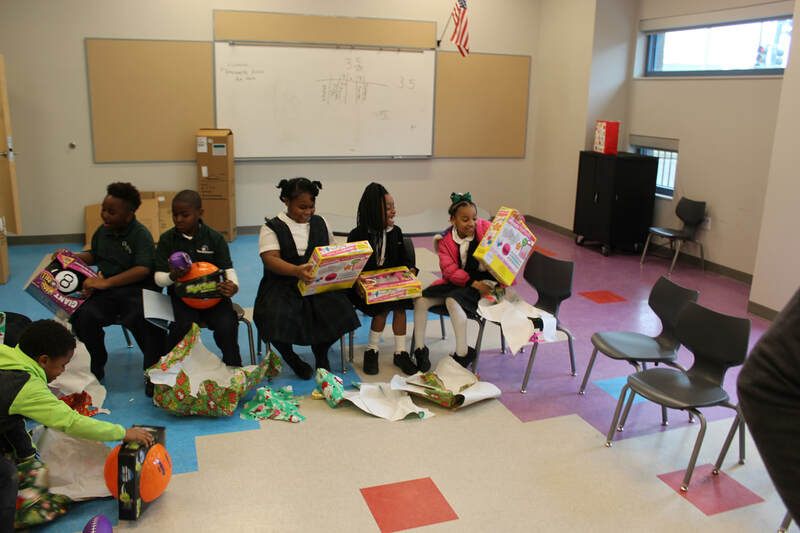 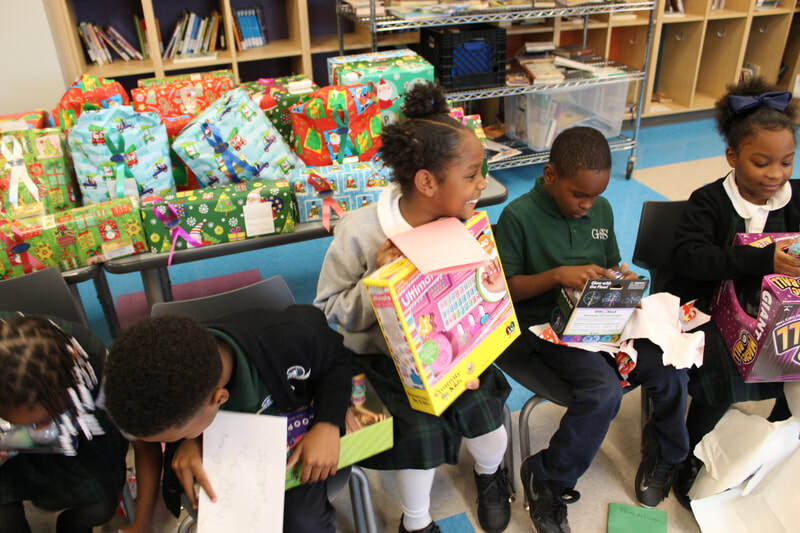 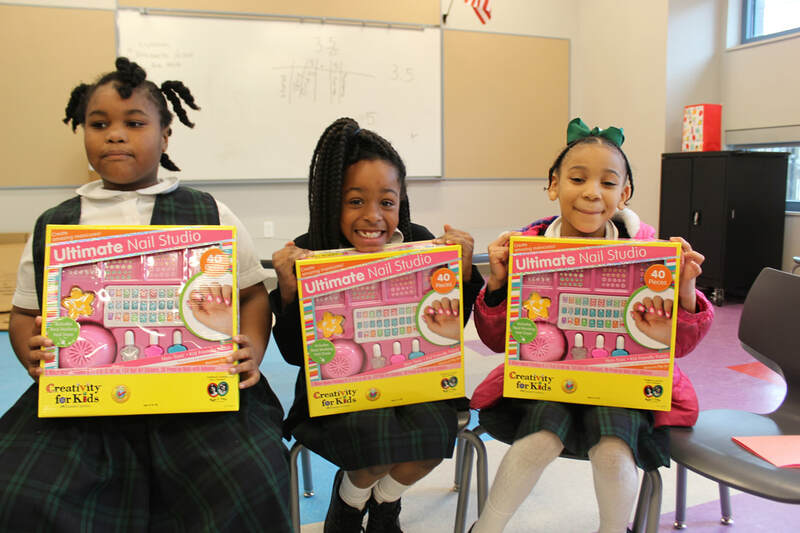 This year, that means over 250 PK-7th grade students went home with a gift on Monday. 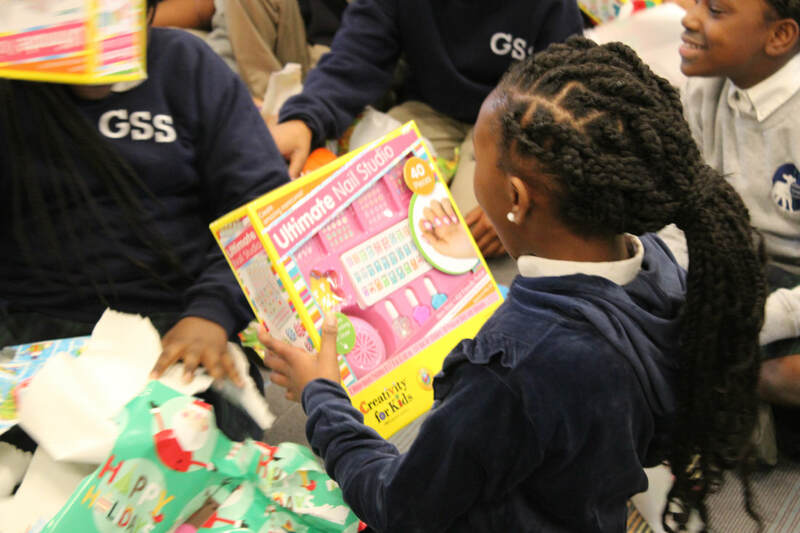 Hundreds of GSS students over the many years have benefited from their generosity, and we graciously thank them. 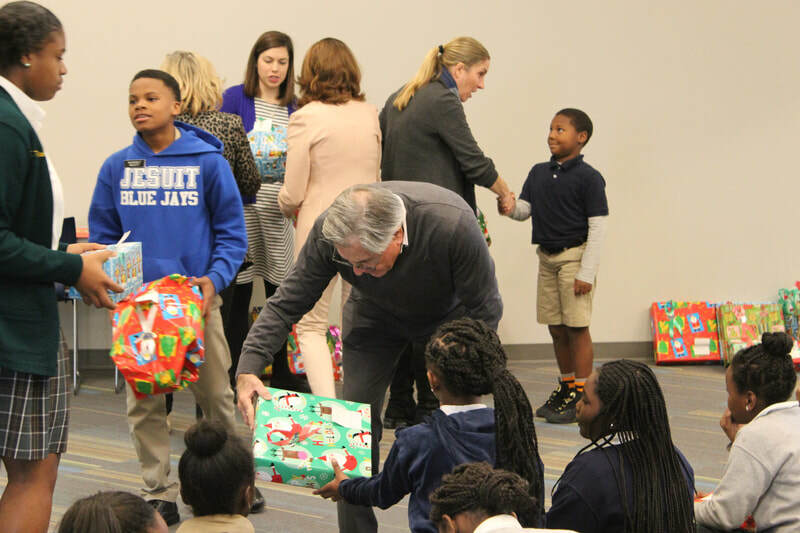 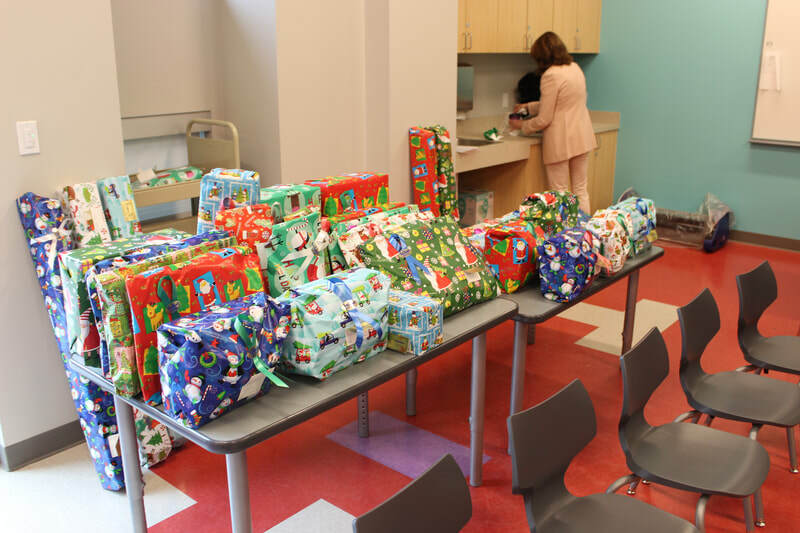 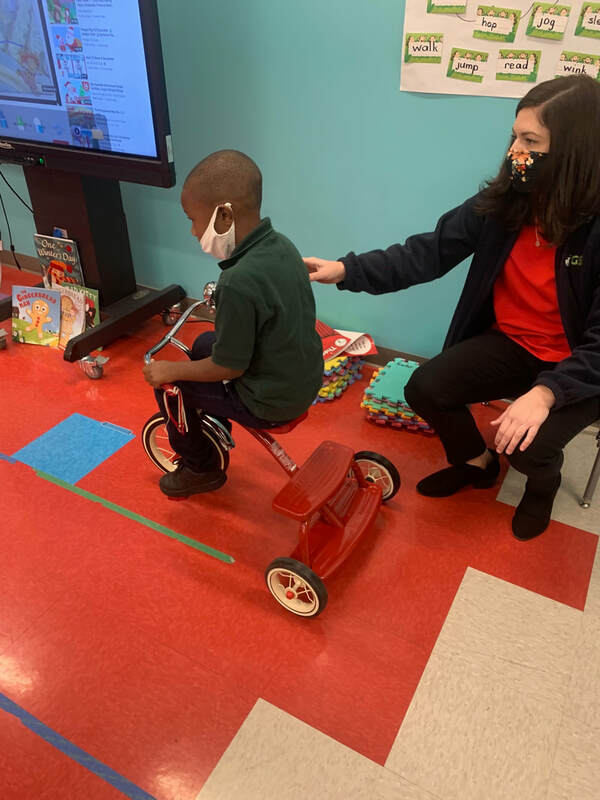 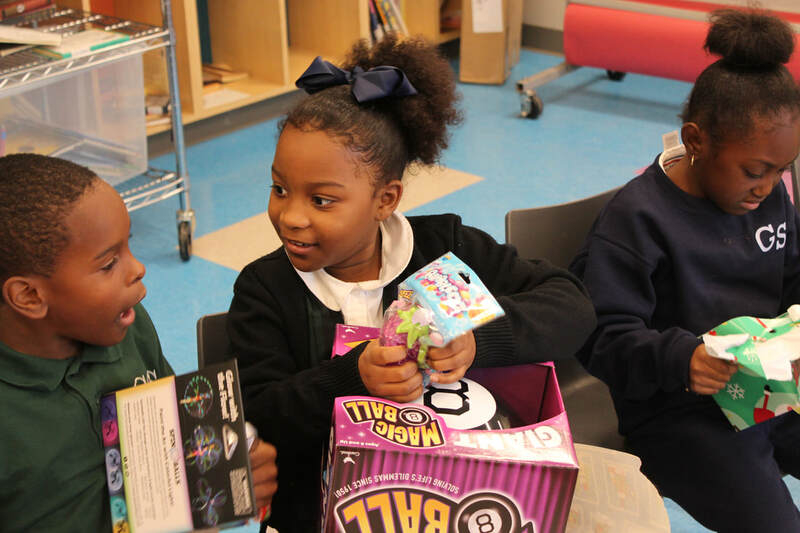 The toys were all purchased from Le Jouet Toys (located on Airline Hwy in Metairie), who packaged and wrapped over 250 gifts - THANK YOU, Mr. and Mrs. Ducote and Le Jouet!